CANTON, MA (November 26, 2013) – This holiday season, Dunkin’ Donuts, America’s all-day, everyday stop for coffee and baked goods, is showing its guests a “latte love” in a latte ways. In addition to offering a full lineup of hot and iced lattes including new Red Velvet, this week Dunkin’ Donuts has introduced a special Twitter Sweepstakes to give fans an opportunity to “SpreaDD a Latte Love” for the chance to win $1,000 for themselves and another $1,000 to share with family, friends and/or charity. 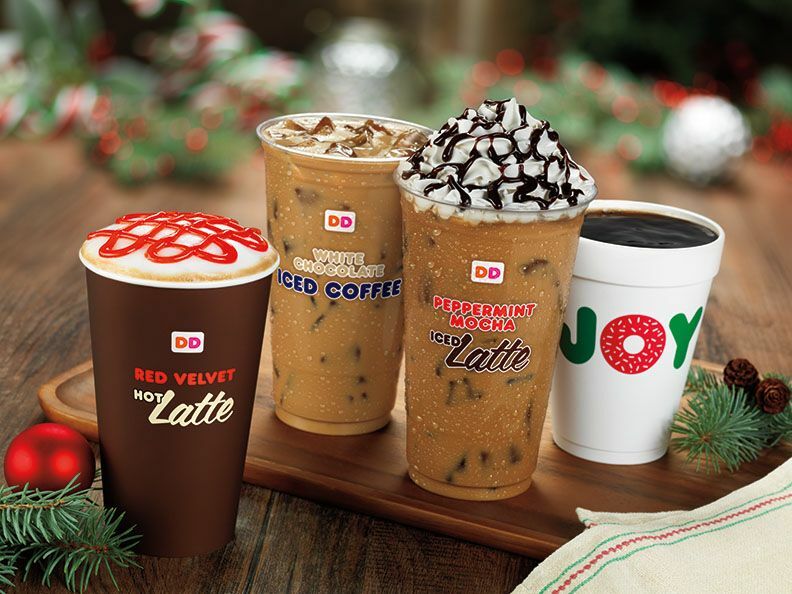 Dunkin’ Donuts’ holiday coffee and lattes boost holiday spirits and help keep people running all throughout the busiest time of the year. Dunkin’ Donuts’ new Red Velvet Latte features the indulgent, sweet taste of red velvet cake and cream cheese frosting, topped with a festive red drizzle. Also available are classic holiday favorites Peppermint Mocha and White Chocolate. All of Dunkin’ Donuts’ coffee and lattes are available hot or iced. Dunkin’ Donuts is also offering special value offers to enjoy Dunkin’ Donuts’ famous coffee at home for the holidays. Now through December 29, guests can purchase Dunkin’ Donuts’ packaged coffee for the special price of three pounds for $19.99, available online and in participating restaurants (offer begins on December 2 in Metro New York). Also, beginning on Thanksgiving, November 28, and continuing through the holiday season, guests can purchase Dunkin’ Donuts’ K-Cup® packs, for use with the Keurig® K-Cup® Brewing System, for the special price of two boxes for $19.99. Both offers are available while supplies last at participating Dunkin’ Donuts restaurants nationwide. Finally, to help keep people running through one of the busiest days of the holiday season, Dunkin’ Donuts restaurants will be open on Black Friday, with some opening earlier than 5 a.m. so guests can get a great start to the holiday shopping season. To help keep people connected during the hectic holiday hustle and bustle, almost all U.S. Dunkin’ Donuts restaurants offer free hi-speed Wi-Fi access. For anyone seeking a place to check email or browse the Internet while enjoying delicious food and beverages, Dunkin’ Donuts is now the ‘hot spot’ to keep running both online and offline through the holiday season and beyond.